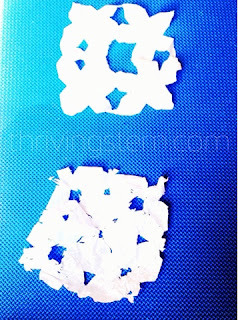 Paper snow flakes are a classic project that kids love. They're also a great way to learn a little math. On a bright January day, perfect to look at, but too cold to stay outside for long, I needed something to do with my bright energetic children.Paper snow flakes were one of my favorite crafts as a child, and I thought that just maybe they would enjoy making some as well. 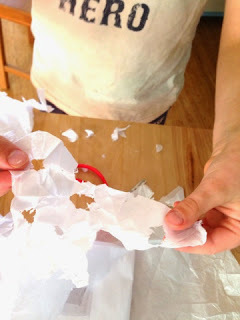 To introduce this activity to my kids, I folded the paper in half just once and cut two shapes, I got two shapes.Then, I folded to the paper in half twice and two cut shapes.We found four when we unfolded the paper. I continued adding more and more folds, cutting two shapes each time, and they were excited to see that there were more and more shapes. Multiplying by 2, again and again. 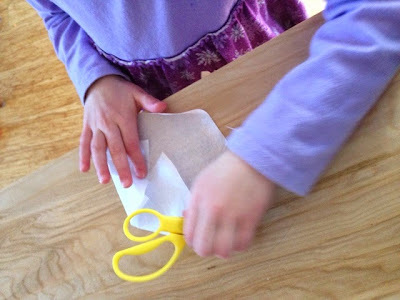 I asked my children they could find the pattern, and they said "no", but they were grabbing for the paper and the scissors to make their own! 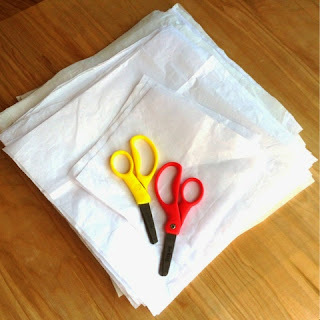 If you would like to try this activity, you will just need a stack of tissue paper cut into squares and a pair of scissors. 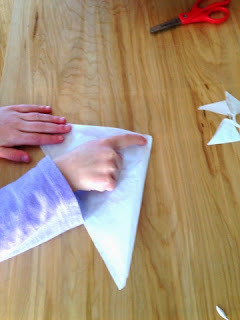 Fold the paper into triangles. You can fold as many times as you like as long as you keep the same center point. 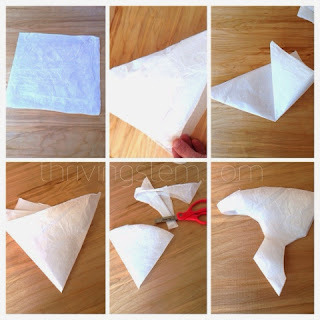 Cut patterns into the sides of the triangles, then unfold the tissue to see your finished product! 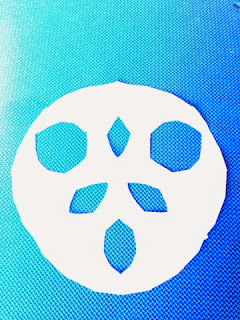 Real snow flakes have six sides. You could say that this snowflake demonstrates f = (n/2)(xy) where n is the number of cut outs, and x and y represent the number of sections the paper was folded into. x = 2 when it was folded in half. y = 3 when it was folded in thirds. The total number of shapes is f = (2/2) (2*3), which is 6. 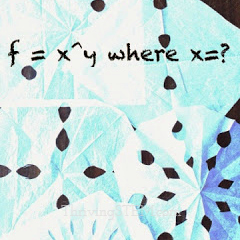 This pattern corresponds to f= x^y where x is the number of shapes cut, and y is the number of folds. 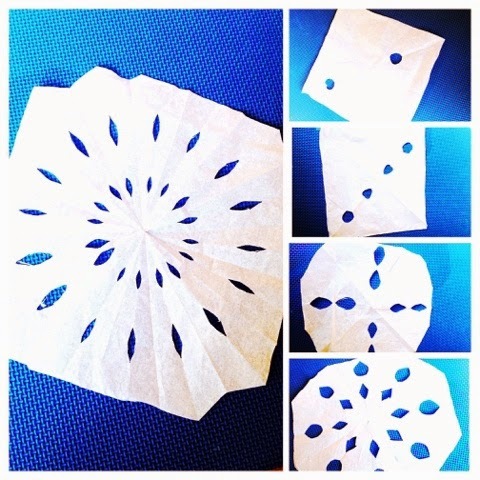 For elementary students, I recommend that you do just what I did.Show them the pattern, encourage them to guess what it might be, then let them enjoy the project.If you are working with older students you might assign making snowflakes that follow a certain function, or you could let them make some snowflakes, and translate them into math. The wonderful thing is that they are automatically doing math to figure out how to get the designs they want. 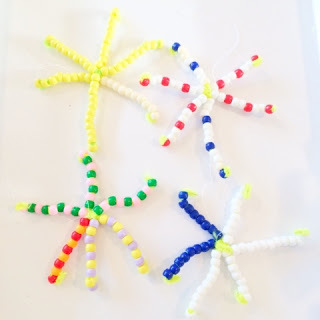 Add in the added brain connections from doing hands on learning, and you have a great STEAM project that they'll be excited to share with their own kids one day. 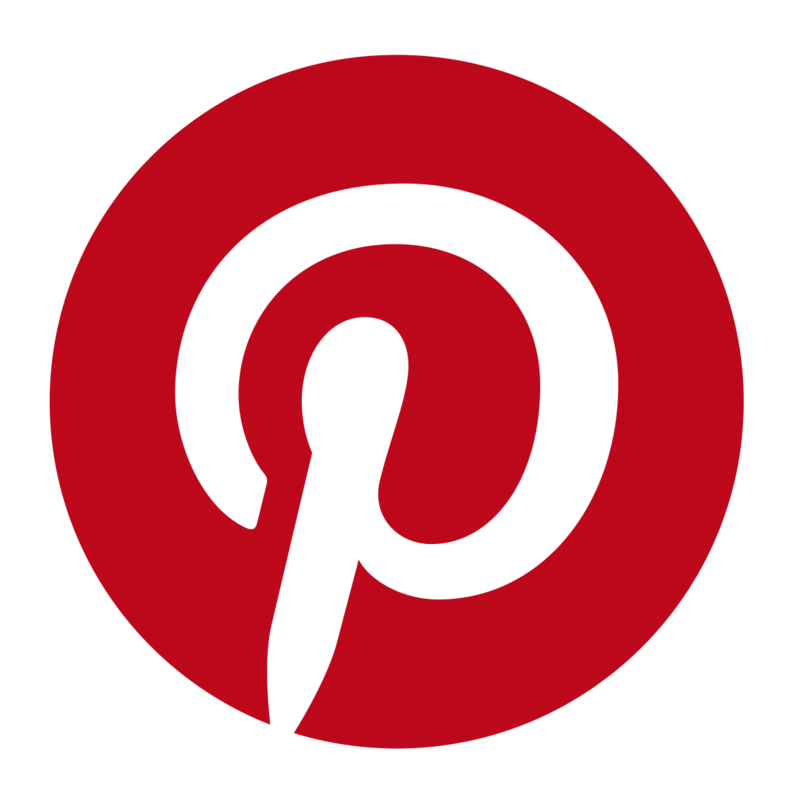 Find out about seasonal projects each month! Each month I send an e-mail with seasonal projects like this one to my subscribers. Sign up now to receive next month's newsletter. Today, I am excited to be joining a project hosted by Erica at What We Do All Day. She is a true professional mom, and I love reading her blog to get ideas for my own kids. Several fantastic blogs are joining in today to bring you indoor activities that you can do with your older kids. If you are like us, and never know when you will be stuck indoors due to bad weather, you will want to be sure to pin these ideas for later!